It's been a busy time for the club over the past few days. Congratulations to the Cross Country team for a strong showing in Ballyclare, to our New York City Marathon runners and to all those who picked up new PB's at whatever event they attended. The 83rd McConnell Shield Cross Country event took place in Six Mile Park, Ballyclare on Saturday afternoon. Conditions were cold and wet but firm underfoot. The Ladies, along with the Men 60+ kicked the day off with three laps on the park. Paula Worthington ran a superb race in take a podium spot in the Ladies event (3rd place), followed closely by Kerry Bamber (10th). Next home was Geraldine Quigley (25th) and Ray Curran (30th). Winning her age category was Brigid Quinn (91st) with Jimmy Galbraith (92nd). Well done all. Nine club members lined up in the five lap race (approx. 5 miles). Club track star James Hamilton ran hard from the gun and was rewarded with 4th place in a top class race. James was supported by Michael Bennett (24th) and Noel Connor (29th) with both men winning age category awards. 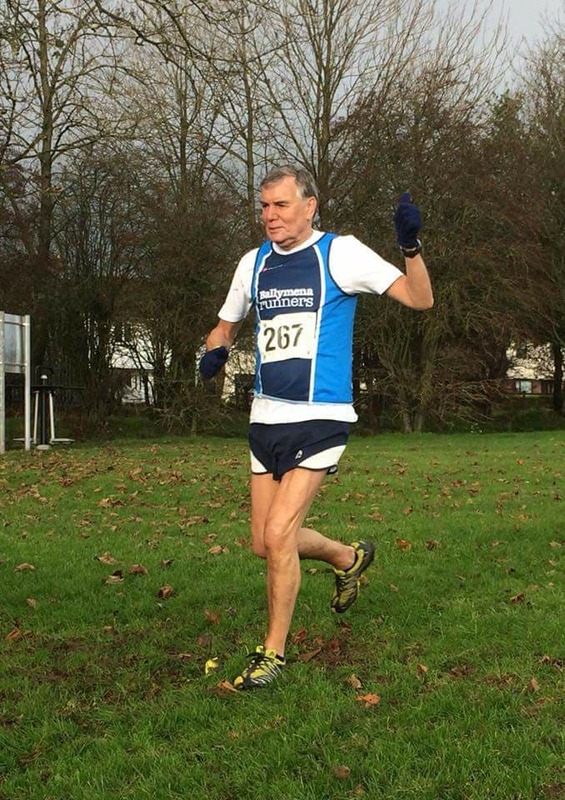 Richard Agnew(37th) closed the team four to score event helping Ballymena Runners to second spot in the team prize. Also playing their part for the team were Ben Morrow (39th), James Turtle (45th), Rodney Livingstone (84th), Nigel Davidson (89th) and Alistair Hill (97th). Well done everyone and thanks also to the support crew. The Cross Country League takes a break for the next four weeks with the next grass race organised by Annadale Striders, again in Ballyclare, on Saturday 2nd December. 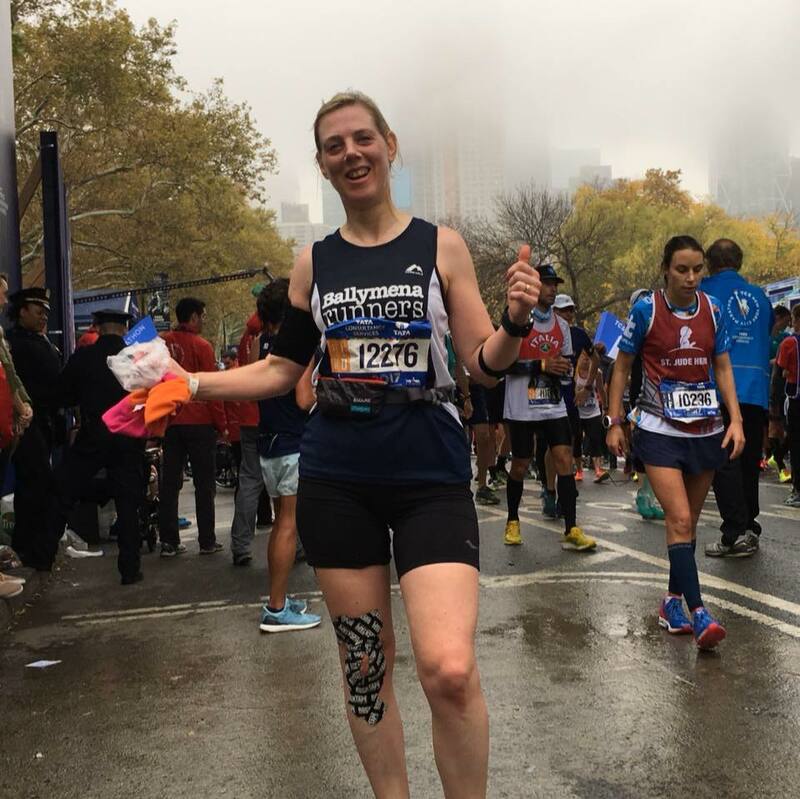 It's the city that never sleeps, and Ballymena Runners are the club that never stops, so it'll perhaps come as no surprise that the club had representation at the New York City Marathon on Sunday. Starting on Staten Island, and taking in all five boroughs of the Big Apple before finishing in Central Park, the race is the largest participation marathon in the world. Donning club colours for the event were John Hasson, Eleanor ‘Ellie’ Forrest and Emma Donnelly. John, a week after the Dublin Marathon, came home in 3:05:49 while Ellie clocked a time of 3:52:57, almost ten minutes faster than her last NYC run in 2001. 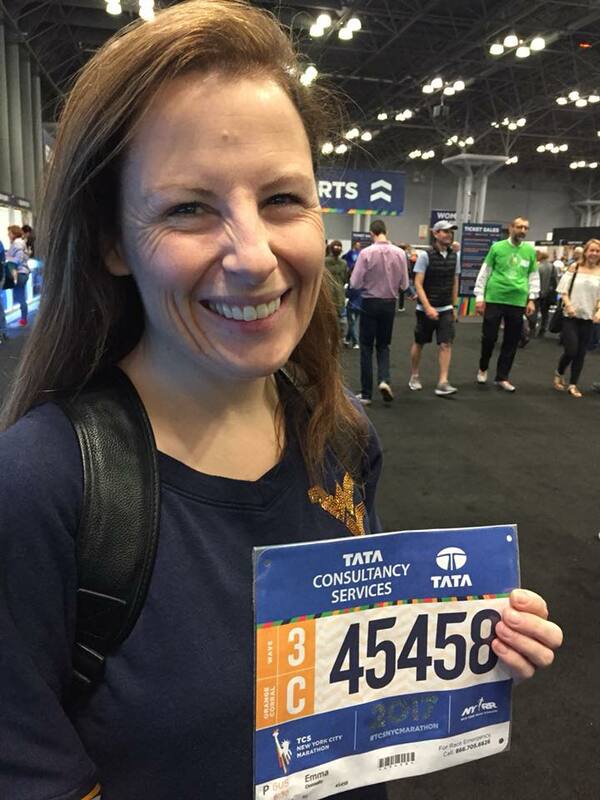 Meanwhile Emma, following a difficult season through injury and illness, performed well to finish in 5:49:41 in what was her second successive appearance. And if that wasn’t enough, John and Emma also competed in the Dash To The Finish 5k 24 hours earlier. Massive congratulations to all three athletes! There were PB's galore at the Decathlon Series 10k event in Belfast on Sunday morning. A healthy showing of Ballymena Runners made their way to the Holywood Exchange to run the roads in the shadow of the George Best Belfast City Airport. 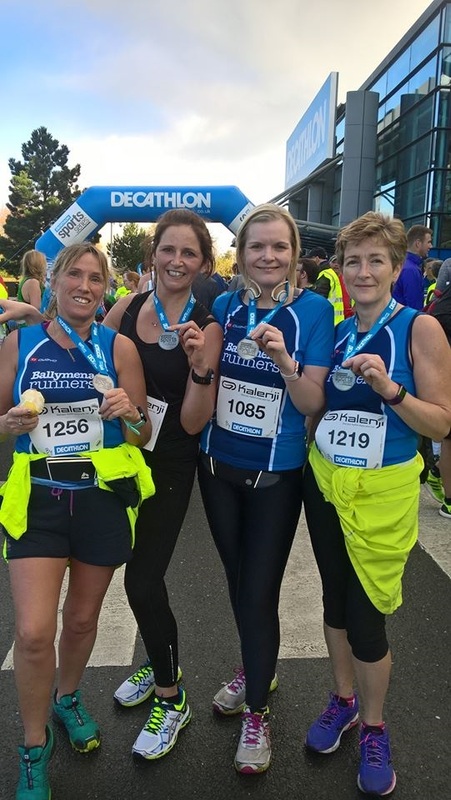 And it was perhaps the abundance of jet fuel nearby that inspired Parveen Akhtar (1:24:22), Lorraine Craig (54:40), Chris Davies (47:06), Judith Irwin (1:11:46), Stephanie Johnston (55:00) and Sarah Woods (54:40) to claim those personal best times over 6.2 miles. Well done to everyone! Meanwhile, across the city Stephanie's husband, Jonathan, competed in the Mo Run 10k in Ormeau Park, crossing the line in 52:51. The popular Born2Run Winter 2017/18 Series kicked off in Belfast on Saturday, and Ballymena Runners turned out in their numbers! Starting with a lap of the Mary Peters Track, the course diverted onto the picturesque but challenging Minnowburn Forest before finishing back on the track. In the 10k, Conor Crilly was first from the club over the line (47:07), ahead of Sinead Scullion (51:22) and David Scullion (51:27). And, in the associated 5k, Pamela Kane finished in 24:39 while Sharon and Norman Stephens completed the course in 29:01. Ballymena Runners excelled themselves at the various parkrun events up and down the country on Saturday morning. Jason Wilson led the charge with a time of 18:22 to claim top spot in Portrush, the eighth time he has finished first on the East Strand beach. Not to be outdone, Linda Petticrew came home first lady in Antrim (21:48), 13th overall out of a field of 185 and coming within a fraction of an 80% age grading, while Alison Foster finished fourth lady. At the local run in Ecos, Neil Craig was first over the line (19:50), just ahead of club mate Paul Connolly. In addition, there were also PB's for Jennifer Dickson, Diana Dunlop Paul Graham and Sharon Murray. Elsewhere, at Stormont, Simon Boyle finished fourth while, a little further afield, Kathryn Lorimer indulged in her first bit of tourism in Castletown, Co. Kildare and Jonathan McCloy came third in Killarney.